Billy Collins was the Poet Laureate of the United States from 2001 to 2003 and his latest book of poetry, The Rain in Portugal, is his eleventh collection. A Distinguished Professor of English at Lehman College of the City University of New York and a Senior Distinguished Fellow at the Winter Park Institute of Rollins College, he was inducted into the American Academy of Arts and Letters in 2016. Stay Thirsty Magazine was honored to visit with Billy Collins in New York for our second Conversation with him. 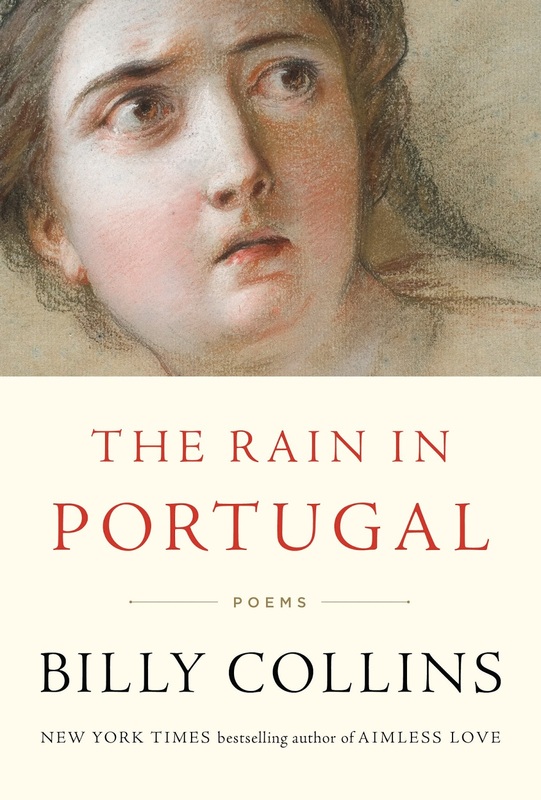 STAY THIRSTY: Your latest book of poetry, The Rain in Portugal, contains 56 poems divided into three sections of 20, 19 and 17 poems respectively. The sections are labeled: One, Two and Three. How did you decide on this number of poems and on the organization of them by particular section? Did you intend the reader to take away a particular feeling or impression from each section? BILLY COLLINS: I think my habit of dividing a book of poems into sections is just as pointless as agonizing over the order of the poems. The reason is that hardly anyone reads a book of poems from front to back, maybe the editor or a reviewer, and for those few the sections provide a place to breathe. In my case, each poem is a separate unit, so any attempts at organization is the author’s vanity at play. STAY THIRSTY: Your book has the following epigraph: “For a poet he threw a very accurate milk bottle.”— HEMINGWAY ON RALPH DUNNING (A Moveable Feast). Why did you choose this particular quotation? How have you been influenced by Dunning or by Hemingway? BILLY COLLINS: I like an epigraph to set a certain tone that will be visible in some of the poems. Hemingway’s calm sentence contrasts nicely with the violent act of Dunning the poet for comic effect. Is it Papa’s machismo that causes him to imply that poets are not very accurate throwers? Does he think that we cannot fish for big game or run with the bulls? STAY THIRSTY: Day and night play important roles in the poems in this collection. What do each mean to you? BILLY COLLINS: Before electricity and gas-lamps, everyone went to bed when it got dark and woke up a dawn. This made them in tune with the circadian rhythm of the earth. Mentioning the time of day in my poems anchors the poem to time and adds to the sense that the poem is taking place in the present of its own consumption. Few of my poems are about something that happened in the past. STAY THIRSTY: The cosmos, the stars and the moon are key subjects in some of your poems. What is it that attracts you to the planets and the heavens? What is it about the movement of these bodies that influences you? BILLY COLLINS: Well, gee, we are part of an incalculably huge universe, which is one of the most nagging mysteries we face. Philosophical inquiry would be less intense if all that existed was just this solar system. It would actually seem kind of “cute” compared to the baffling question of space that just goes on and on. STAY THIRSTY: There is an inescapable sense of time slipping away throughout many of your poems in this collection. How do you personally feel about growing older and has that influenced your thoughts and your writings? Is having a finely tuned sense of the temporal a blessing or a curse? Do you personally live in the present or are you always aware of its fleeting nature? BILLY COLLINS: Originally, poetry was about history, but for the past few hundred years poetry is about Time, particularly the “romance of time,” which carries the awareness that our time is limited. It’s very common in poems to hear the Big Clock ticking or see the shadow of human mortality cross the page. As one ages, one realizes that time is more important than money; if you run out of money, you’re broke. But if you run out of time, you’re dead. STAY THIRSTY: How important is it for a poet to have a sense of humor? BILLY COLLINS: The English Romantic poets killed humor, and it took about 150 years for humor to make a comeback in otherwise serious poetry. These days, piles of poems make us laugh or smile. I try to write poems where the humor and the seriousness are in balance. Many such poems can be found in an anthology titled Seriously Funny. I would say if you’re not funny off the page, don’t try to be funny on the page. STAY THIRSTY: You have said that Samuel Taylor Coleridge’s conversational poems have served as a model for you. What is it about the conversational style that attracted you? Why did you choose to express yourself in the “common tongue” style of poetry rather than the “elevated language” style? STAY THIRSTY: How important is the reader of your poetry to you when you are composing it? BILLY COLLINS: To write is an act of hope, hope that someone will read it. I aim for a level of intimacy in many poems, which gives the reader a feeling of being spoken to, being acknowledged. That’s why my poems tend to be straightforward in the beginning and more complex at the end, more hypothetical, more speculative, more unusual. I like poems that begin in Kansas and end in Oz. STAY THIRSTY: What one key piece of advice do you have for a writer who wants to become a poet? BILLY COLLINS: Read poetry until it’s coming out of your ears. It’s only by reading the poems of other that we learn how to write our own poems. And I don’t mean just contemporary poems. Read Wordsworth’s “The Prelude,” read Dante. You will start to get a sense of what the conversation of poetry is all about and whether you can find a place for you to jump in and join it, adding your voice to all the others. STAY THIRSTY: What is next up on your drawing board? BILLY COLLINS: I’m going to draw a little dog with a big nose who is looking up at the sky.